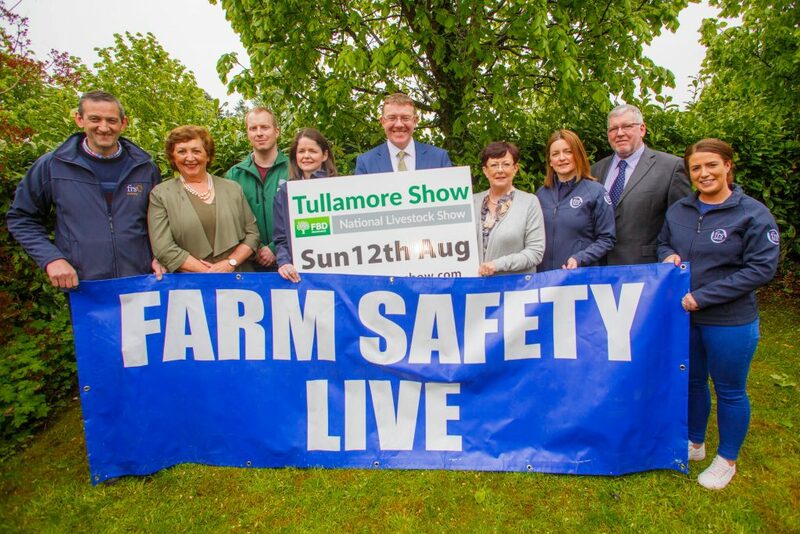 Farm Safety Live organisers, FRS Training, HSA and FBD Insurance are delighted to announce that the event, now in its 5th year, will be officially opened by Mairead McGuinness, MEP and First Vice President of the European Parliament, at the Tullamore Show on Sunday 12th of August at 11am. The organisers want all to go home from the show smarter and with at least one farm safety tip to apply on their home farm. Each year the farm safety event brings something different and this year the focus is on giving smarter tips through the live and interactive demonstrations concentrated around the home farm that can be brought home and smartly implemented. The four areas this year will be on centred around Livestock Handling, Quad Bike Operation, Working From Heights, Tractor and PTO Operation. Regrettably the overall fatality statistics have not been improving with the main culprits stemming from machinery, tractors, vehicles and livestock, with the young and elderly proving to be the main victims. Launching Farm Safety Live at the Tullamore Show are the organisers of the event from the HSA (Health & Safety Authority), FRS Training (Farm Relief Services training division) and FBD Insurance with support from the Tullamore Show organisers; (pictured left to right) Jim Dockery, FRS Training Manager, Freda Kinnarney, Tullamore Show Operations Manager, Cathal Burke, FBD Insurance Marketing Manager, Martina Gormley, HSA Inspector, Pat Gilligan, FBD Insurance Head of Sales, Midlands and North-West, Brenda Kiernan, Tullamore Show Chairperson, Jane Marks, FRS Network Marketing Manager, Pat Griffin, HSA Senior Inspector for Agriculture and Caoimhe Kirby, FRS Network Marketing Executive. The event will be officially opened at the Tullamore Show by Mairead McGuinness, MEP and First Vice President of the European Parliament on Sunday 12th August at 11am.